New Component: gb.odt for gambas2gb.odt: Prepare reports and export to the format. odt (to use it in openoffice, for example) The idea of this new component is able to pass. Txt files (with certain format). 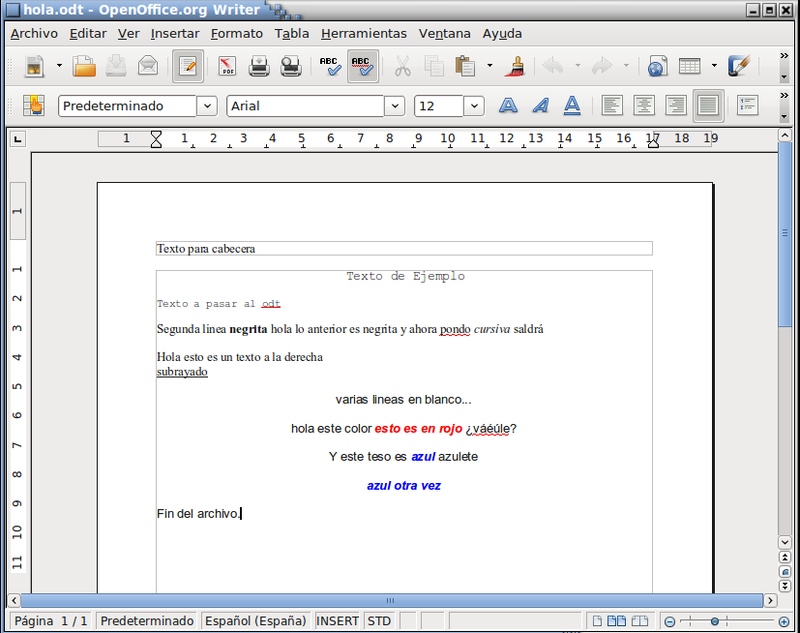 Odt, to help make reports quickly from our applications and openoffice writer. 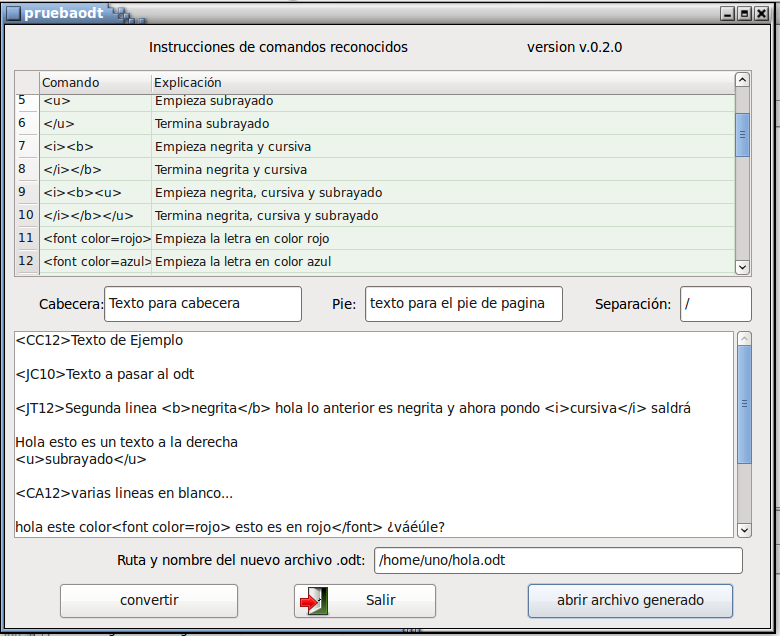 gb.odt: Realizar informes y exportarlo al formato .odt (para usar lo en openoffice, por ejemplo) La idea de este nuevo componentente es poder pasar archivos .txt (con ciertos formatos) a .odt, para facilitar realizar informes rápidamente desde nuestras aplicaciones y con openoffice writer.